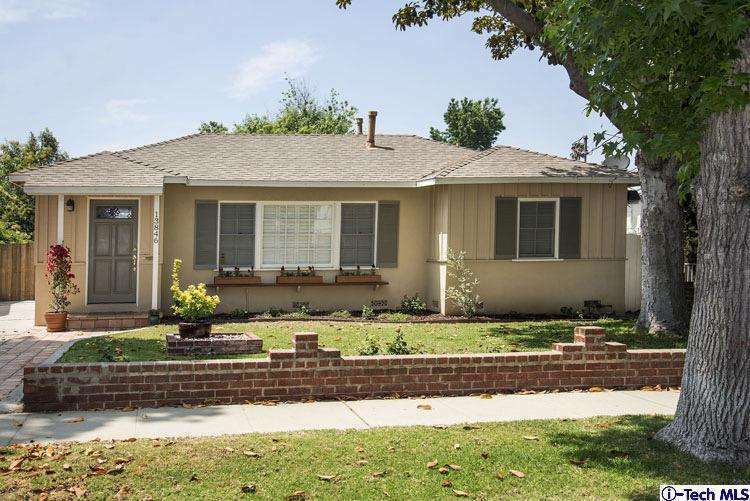 This delightful mid-century traditional home sits in one of Valley Glen's most sought after neighborhoods! Offers: 3 bedroom, 1.75 baths, formal entry, spacious living room, formal dining, bright roomy kitchen with tile counters, dishwasher, pantry and laundry area. A family room and Master bedroom with patio access, Master bath with double sinks. Features include: Central air & heat, updated electrical, copper plumbing, hardwood floors, front & rear sprinklers, covered patio, landscaped yard with rear raised garden. Must See!